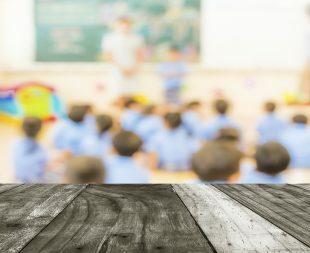 Today's news review looks at commentary on rates of white working class boys attending university and an open letter calling for children to be taught how to engage with politics. Today the Telegraph ran a comment piece from politics editor James Kirkup considering the differences in educational achievement of white working class children and those form ethnic backgrounds. It follows figures published by UCAS showing an ethnic breakdown of students attending university. The piece is written in response to UCAS equality figures, out on 8 June, which found that 9 per cent of white working class boys went to university versus 34 per cent of British Asian girls who qualified for free school meals, and 19 per cent of black boys from similar backgrounds, as outlined in this Telegraph story. James Kirkup writes that politicians assume this is about education standards, but children from both backgrounds attend the same quality schools, and argues that “an education system that does more to raise ambition is necessary but not sufficient”. Rather he suggests parental influence and role models need to be considered. We are already doing a significant amount of work around the attainment of boys from deprived areas. The Department for Business Innovation and Skills is working with universities to publish more details about their admissions processes and issued a response on this yesterday. We are determined to deliver educational excellence everywhere, raising the bar for all so every child, regardless of background, reaches their potential. Latest figures show that teachers and students are rising to that challenge, with the gap between disadvantaged pupils and their peers narrowing since 2011 at both primary and secondary level. But we know that white working class boys particularly lag behind, and we must now focus on extending opportunity for all. This includes ensuring every child has the excellent teacher they deserve, which is why we have funded the geographical expansion of Teach First and announced the National Teaching Service, to bring outstanding teachers and leaders into challenging areas. In addition, the pupil premium has provided over £6 billion of additional funding for disadvantaged pupils, and we are continuing this at current rates for the duration of this parliament – this year alone it is worth £2.5 billion. It calls for young people to be educated about how to “take power in our democracy” and adds support for the Bite the Ballot campaign, which calls for more political education in schools. The curriculum is no longer as prescriptive as it once was. We trust teachers to make decisions on what to teach based on the needs of their pupils. While the national curriculum sets out that young people should be taught about national and regional Government at Key Stage 4, it is down to teachers to decide how they do this – as set out in our statement below. Schools are best placed to plan the detail of their curriculum. We trust them to make this decision based on the needs of their pupils and are clear that all political discussions in school should be unbiased and balanced. The national curriculum sets the expectation that Key Stage 4 pupils are taught about local, regional, national and international governance and the United Kingdom’s relations with the rest of Europe and the wider world. Pupils should be equipped with the skills to think critically and debate political questions.